The price of TV shows are from $1.99 to $2.99 in iTunes store for users to purchase. But they are all protected by Apple's DRM FairPlay policy, which means the TV shows or movies downloaded from iTunes are only allowed to play on Apple's iPhone, iPod, iPad, iTunes, QuickTime, etc. But if you have some Android devices, like HTC, Samsung, and you just want to watch your iTunes TV shows on those Android devices, what should you do? If you are just encountering with the situation above, don't worry. Here we will show you a simple way to convert DRM protected iTunes TV episodes or movies to Android devices, such as HTC One X, Samsung Galaxy S3, Galaxy Tab, Kindle Fire, etc with a professional iTunes DRM removing tool. This DRM removal software is called NoteBurner DRM to Android Video Converter for Windows. It is dedicated to help iTunes users to remove the DRM control from purchased iTunes TV shows, movies, music videos, etc. NoteBurner DRM Video Converter for Windows can convert the protected M4V TV episodes to Android compatible video formats, like MP4, for Samsung, HTC, Nexus, etc. NoteBurner M4V Converter Plus (For Mac & For Windows) , a professional iTunes M4V video converter which can help you remove DRM protection and convert iTunes movies and TV shows losslessly to various video formats with 20X faster speed. 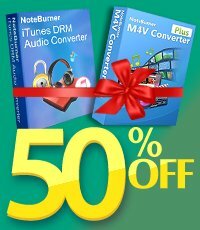 NoteBurner M4V Converter Plus can also enable you keep iTunes rentals forever! Here is an tutorial on how to convert purchased or rented iTunes movies/TV shows to Android devices. Please download the program on your Mac or Windows PC first before getting started. 4. PC running Windows XP, Vista Windows 7, Windows 8 or Windows 10. After you have made those things done, let's begin to convert DRM-ed iTunes TV episodes to Android devices. 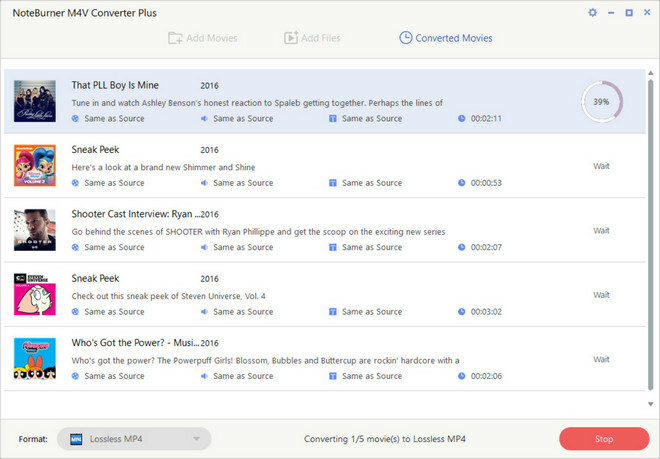 Click the "Add Movies" button on the top left to add the iTunes TV shows you want to convert. 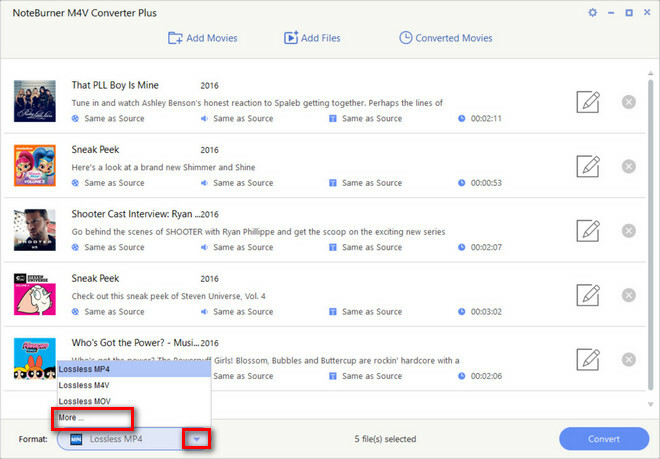 You can also drag and drop the TV shows from Finder to the resource pane to load TV episodes for converting. Go to the dropdown list next to "Convert to" to choose output format. For Android devices, if there is no default profile for certain device, you can simply choose "Lossless MP4" format. When all the settings finished, click "Convert" button to start converting DRM-ed iTunes TV shows to Android devices. What's next? Download NoteBurner DRM to Android Video Converter now!